This gift gives new meaning to the phrase "Nuts to You". Includes a 10 oz. jar of Blister Fried, 9 oz. jar of Cashews and 8 oz. jar of Pecans. Owner Response:Sorry you thought the peanuts were old - we can assure you that they were fresh! We'll be in touch to make it right. I bought the nuts for my husband. Which he did not like these. The Cheese straws are really good and I would order more if needed. I would also recommend them to other people as well. Owner Response:We're sorry to hear your husband did not like the Cashews, Pecans or Peanuts! We'll be in touch. All three nuts are delicious, particularly love how the peanuts stay fresh, usually peanuts seem to draw in moisture and don't taste as good, but these remain crisp. 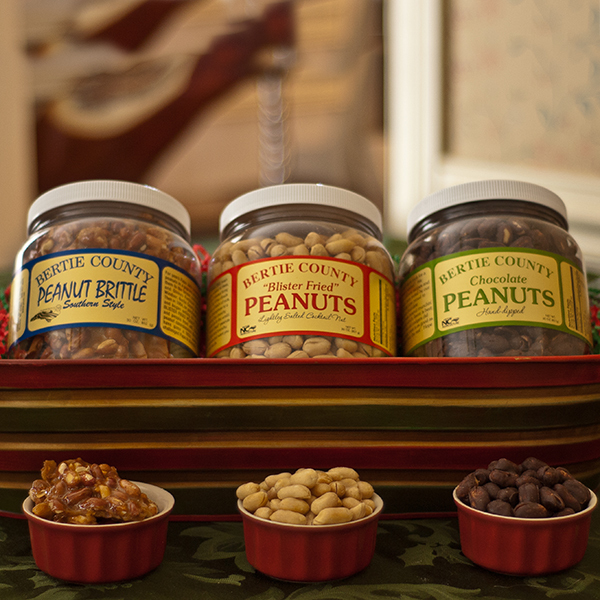 Nutty Buddy box set is a delicious trifecta of great quality nuts. A definite repurchase.